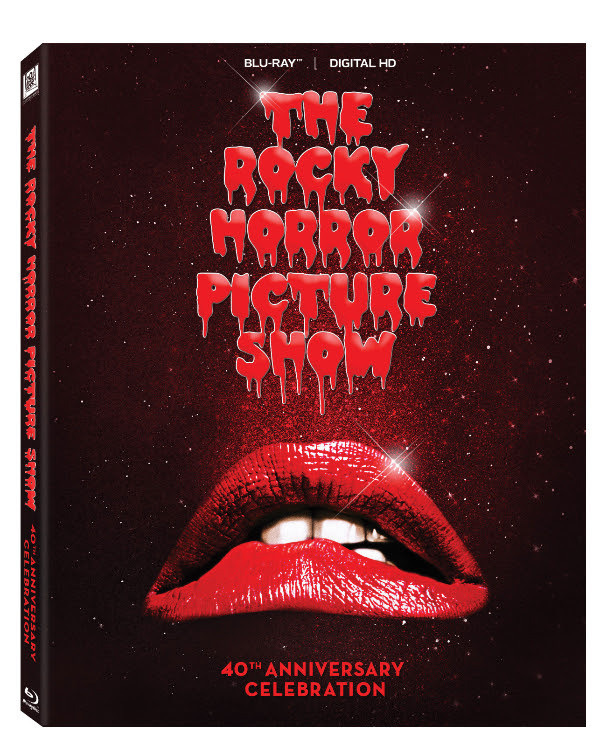 Get ready to do the time warp again as The Rocky Horror Picture Show 40th Anniversary – the ultimate midnight movie – comes home on Blu-ray, DVD and Digital HD September 22 from Twentieth Century Fox Home Entertainment. Featuring an all-star cast, including: Tim Curry, Susan Sarandon, Barry Bostwick and Meat Loaf, The Rocky Horror Picture Show quickly became a pop cultural phenomenon passed down from generation to generation. Now, after four decades, it’s back stronger than ever with an all-new Ultimate Collector’s Edition, featuring limited edition packaging, exclusive collectible pink surgical gloves, fishnet stockings and a soundtrack for its army of die-hard fans! 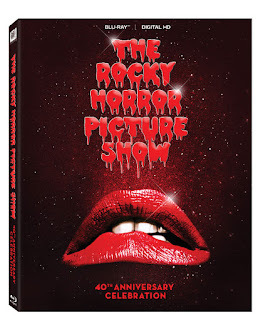 The Rocky Horror Picture Show 40th Anniversary edition is packed with featurettes highlighting past celebrations and midnight screenings, deleted musical scenes, 11 outtakes, alternate endings, commentaries by Richard O’Brien and Patricia Quinn (Magenta), photo galleries and more! Bring the midnight screening home to share with friends and family with Rocky-oke: Sing It! – which includes 18 show-stopping musical numbers from the hugely popular soundtrack: “Touch-A, Touch-A, Touch Me,” “Sweet Transvestite,” “The Time Warp” and more! The Blu-ray also features incredible HD featurettes, as well as a photo gallery from Rock ‘N’ Roll’s seminal photographer Mick Rock, which dives deeper into Rock’s experience capturing the moment on-set and behind-the-scenes of the 1975 film. In “Mick Rock's Picture Show (A Gallery)” fans can take a peek at more than 70 high-resolution images from his archives. Since its 1975 release, The Rocky Horror Picture Show quickly made its mark as the most-beloved cult film of all time. Today, this iconic cult classic film is the longest running theatrical release of all-time and currently plays at weekly midnight showings in over 300 theaters across the U.S. and even more around the world. Moreover, the film’s cultural exposure and acclaim has extended far beyond the theatrical release, as the original “Rocky Horror” stage show continues to delight audiences worldwide.